Take your fitness to new adventurous levels with the Ariel a bike that'll see you tackling workouts on paved or dirt paths with equal confidence and control. Take your fitness to new adventurous levels with the Ariel a bike thatll see you tackling workouts on paved or dirt paths with equal confidence and control. It features a light and tough A1 Premium Aluminium frame thats been designed with our Womens Fitness Geometry with an ultra-low standover so it will fit and feel like a dream right out of the box. Not stopping there we also included a custom suspension fork that takes the sting out of bumpy terrain a host of womens-specific components that increase comfort fit and hassle-free mechanical disc brakes thatll see you spending more time riding and less time bleeding your brakes. Put it all together and you have a purpose-built bike thats bent on giving you the perfect ride whether its on the dirt or on the road. Designed for women who want to mix adventure with fitness the hard-working sturdy A1 Premium Aluminium frame features our Women’s Fitness Geometry—meaning that you’ll go faster with maximum efficiency only without the discomfort of an aggressive ride position. The more comfortable you are the longer you’ll ride. An SR Suntour NEX fork w/ Fitness Brain technology features 55mm of coil-sprung travel that takes the sting out of bumpy terrain while our Fitness Brain technology promotes more climbing and pedalling efficiency. 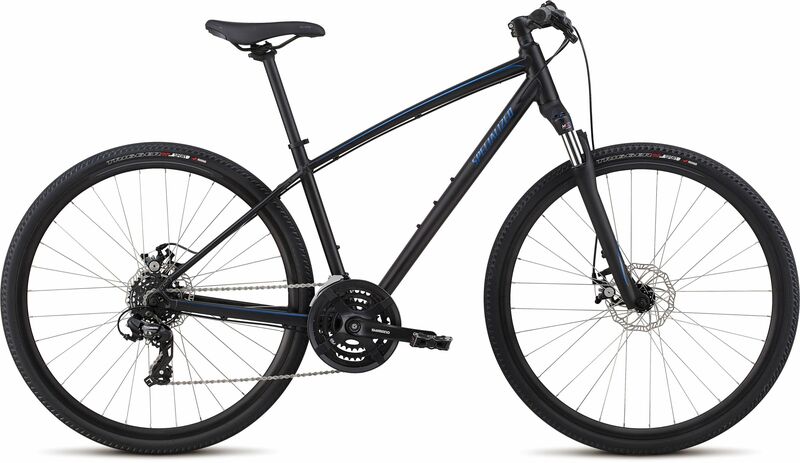 Please see below for delivery options for Specialized Ariel Mechanical Disc Womens Sports Hybrid Bike 2019.